No. of Beneficiaries: about 150 principals of kindergartens, NPO staff in the field of preschool education. Rural preschool education is generally faced with the challenge that many rural kindergartens still teach content that are taught in elementary schools and use teaching methods that generally are used in elementary schools, such as lectures, reciting, and writing instead of play, etc. 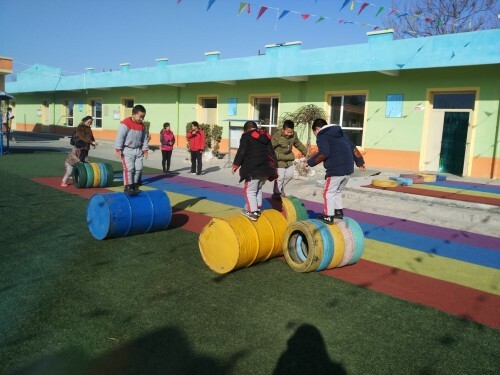 In the past few years, Ruicheng County in Shanxi Province, the county’s preschool education reform pilot district, has initially helped children successfully learn actively through children’s indoor and outdoor free play. Based on the initial success, further study is needed on how teachers should better observe and support children in games. The High Scope China held a three-day authentic High Scope-style workshop for kindergarten administrators in Ruicheng County, and more than 130 kindergarten principals, assistant principals in charge of teaching, and backbone teachers in Ruicheng County, and more than 20 staff from NPOs engaged in preschool education in rural areas across the country and supported by the Macao Tong Chai Charity Association participated in the training. Through this workshop, the principals of kindergartens in Ruicheng County have enhanced their ability to understand and apply the High Scope PCC(Preschool Curriculum Course) into practice, and the trainers from High Scope have visited the local kindergartens and given them their advice. More than 10 participants from NPOs have also observed the relatively ideal rural kindergartens so far in China through the course-taking and on-site visits. In addition, they have exchanged ideas with the preschool education section chief in Ruicheng County and have learned from this regional preschool education reform for the benefit of their preschool education projects. The Macao Tong Chai Charity Association is the planner of the project and covers the project’s travel expenses and training fees.